One of the most baffling things about cufflinks is their rarity. They've become the victim of the “business casual” world. Few year back, cufflinks were an essential accessory in men's wardrobe. Presently, formal events appear to be the refuge for the cufflink. Every man should make his duty to wear them whenever they get opportunity, they will act as a dazzling piece of couture. Cufflinks are easy to put on, they come in a wide variety of metals, styles and gems and surprisingly they are not pricey as you might think. How to put on cufflinks? Rotate the small metal “T” bar until it points straight outwards. Your cufflink should now easily thread the French cuff on the sleeve; fill up the gaps so that the cufflink slots straight through both pieces of material. Then you can twist the bar back again to lock the fabric in place. Cufflinks look great in bright and solid metallics like silver or gold – make sure that you avoid too bling or grandiose that will draw focus away from the rest of your attire. Quick Tip: Try and complement your cufflink with your shirt, necktie and Leather Black Dress Shoes. If you are opting for a metallic look, match the color of the metal with your watch or belt buckle. 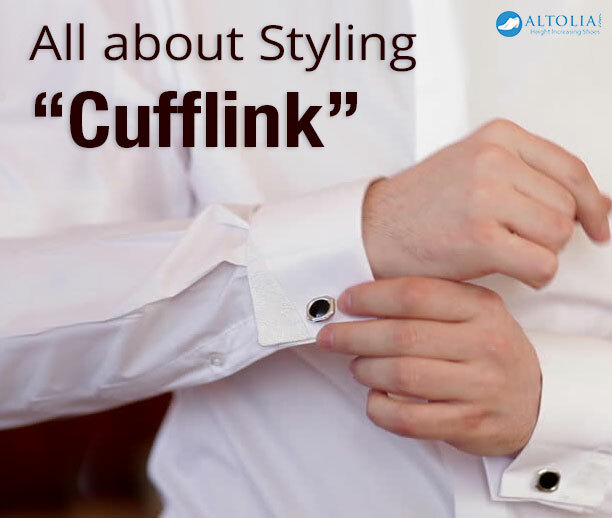 Wear cufflinks on a shirt with double or French cuffs, don't go for D.I.Y version - Buy a shirt that is designed specifically with cufflinks in mind otherwise you will look ridiculous if you start following for DIY. If you are going for a job interview stick with buttons, reason being cufflinks are too flashy for this occasion. Don't wear your cuffs open and loose. They are meant to be closed with cufflinks, else you will look frivolous. French cuffs are essentially stylish and gives perfect touch for formal business wear. When combined with fashionable prints and funky colors, they give a mark of a highly fashionable man. Dress them efficiently, French cufflinks are an essential.